As students, we're always looking for ways to make a bit of extra cash. Whether it's filling out online surveys or selling everything you own on eBay, that little bit of extra pocket money can go a long way. Did you know that as a verified member of UNiDAYS, you can earn up to $250 a month to spend on some of your favourite brands, simply by referring your friends? Follow these 3 simple steps to start earning today! You can share your rewards link on Facebook, Twitter and Instagram OR share it directly with the friends you want to sign up. In order to retrieve your unique link, head to the rewards page and copy your unique link. It's now up to your friends to sign up to UNiDAYS using your unique link. Don't forget to tell them about all the great offers available for free! That'll get them clicking. 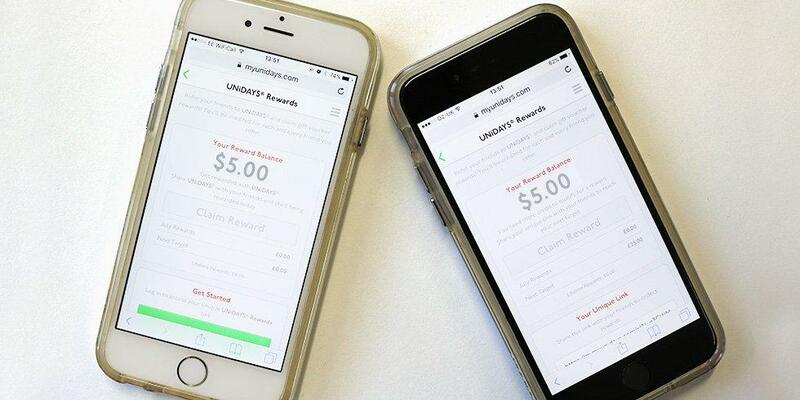 Once your mates have verified their UNiDAYS accounts you will receive $5 credit in your rewards balance. Once you hit $25, you'll be able to claim your rewards in the form of a gift card from one of our top brands: ASOS American Apparel Hotels.com Baublebar PacSun Frederick's of Hollywood The Frye Company Wildfox Talk about guilt-free shopping!